May is this wonderful month of events that provide YOU with many opportunities to tell a story or two. Many of you already are using Animoto for ministry, documenting your life with video, and more. I invite you to use your imagination this month by creating a video. Mother’s Day is just around the corner – May 14! Create a video for Mom, Grandma, or another inspiring mom in your life. Perhaps create a video that will focus on Mary, the Mother of Jesus. Here is an example of a Mary video meditation – created using Animoto. A First Communion in your family is always a wonderful way to remember this special moment. Great way to tell the story of a special day. Check out Brook’s First Communion Day. Graduations abound during May! A child or grandchild graduating from high school or college provides you an opportunity for a video retrospective that will add a nice touch to a graduation party or your Facebook page. Recap Your Year! There are many events that were part of your year. What about a wrap-up video to celebrate the gift of this year for all? Photos that you have gathered during the year, can provide a wonderful memory of a great year! If you have another idea for a May video, please share your suggestion below. Wishing you all the best as you tell your wonderful stories with video! You can begin to create your Video with Animoto. KidsSpace is a website sponsored by the Toronto Public Library. One of the helpful tools is a way to engage children in telling a story. After I played with the tool, here is a suggestion for you to use in a children’s faith formation class. The tool to use is Tell-A-Story StoryBuilder. I would invite children to use this tool at home to retell an assigned Gospel story using the images and creativity of the children. Perhaps this could be the Gospel story for a given Sunday. Once the story is completed and approved by you, it can be used in various ways. Assign a Gospel story to read, for example – The Beatitudes story in Matthew 5: 1-10 (You may want to refer the children to the Superbook Bible for the text or they can use a Bible that is at home. Invite students to use Tell-A-Story StoryBuilder to tell the story using the various tools that are available: backgrounds, characters, etc. They get to choose a setting and characters for the story to make it a unique story that they tell. Once the story is created, tell them to click the [Send] button. A box will appear asking for who they are going to send the story to and for their name and email address. If they are working at home, ask them to invite their parents to view the story before they forward to you. Tell the child that they are to ask their parents to insert a parent email with the child’s name. Once they have completed sending the story to you, they will see a box that says “SUCCESS! The card…”. Click on OK.
Once you have a link, click on the link and you will have access to the story. Click on the green arrow in the right-hand corner to page through the story. Here is an example of a story for you. Click here. Would love to hear your stories of how you may be engaging your children/youth in retelling the Gospel stories that so gift our daily lives. Blessings all! 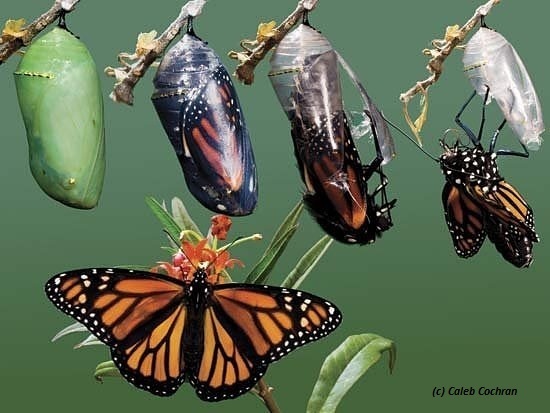 Are We Ready for Transformation? As the daily classrooms transform around us (even slowly), what is happening in this learning environment will affect us! I often wonder, how are we getting ready to manage this changing environment with our catechists, religion teachers, various administrators, and more? It is time to ask ourselves a variety of questions? As a DRE, PCL, Youth Minister, or any type of ministry leader – Are you aware of what is happening in the schools that are in your neighborhood in the area of technology? Are you engaged in professional development of any kind to learn more about what is happening in the educational technology world? Is your parish ready to adapt mobile tools in the learning process? Why? A high percentage of your youth and parents are carrying and using a smart phone or tablet with them. What plans do we have as leader to develop and train those who join us in our ministries, volunteering their valuable time, to become a Digital Disciple? We are in a time of pioneering and exploring new learning environments. What stories do we have to tell about our successes? What’s working? What’s not working? The digital world is NOT going to go away! It is transforming how we interact with one another, how we learn, how we access information on a daily basis. So, what will we do with the ever evolving digital world to enhance faith formation at all levels? Could we transform our teaching with Collaborative Projects? Collaborations give our students access to experts and experiences that transform all of us, students and teachers alike. As teachers, it is our job to connect with those who do inspirational work in the world, and to design experiences that will enable our students to access and express new sides of themselves. Why not use the summer to find a new collaborator? It’s never too soon to connect with someone in the community who can inspire you and your students to create powerful work in the world during the next school year! As a catechist, what type of collaboration with experts in faith, social justice, reaching out to the poor or mission trip could you do to inspire your students? What digital tools could you use to connect? SKYPE? Google Hangouts? Edmondo? Others? What guidelines do you need for a successful collaboration? Do the five points that Joshua mentions in his article offer you a direction? For those who may want to connect their students with students in other countries or the United States, here are two options to explore. ePals. This is a free service that provides a SAFE environment for connecting you to others who want to collaborate. Join this website and begin to explore how you may connect with another group of students to collaborate on a faith-based project. Catholic Relief Services. You will need to explore how you might develop an ONLINE collaborative project with CRS. They are involved in many geographic locations. Perhaps contact with their Baltimore, MD office staff could begin a conversation that would lead you to a wonderful collaborative project in Africa, Asia, Europe, Latin American and the Caribbean, Middle East and North Africa, and the United States. As you ponder the possibility of creating a collaborative project with your students, I invite you to share your reflections and possibilities as a response to this post. Let’s inspire one another in creating and developing a simple collaborative project that will inspire our students to transform their faith lives!